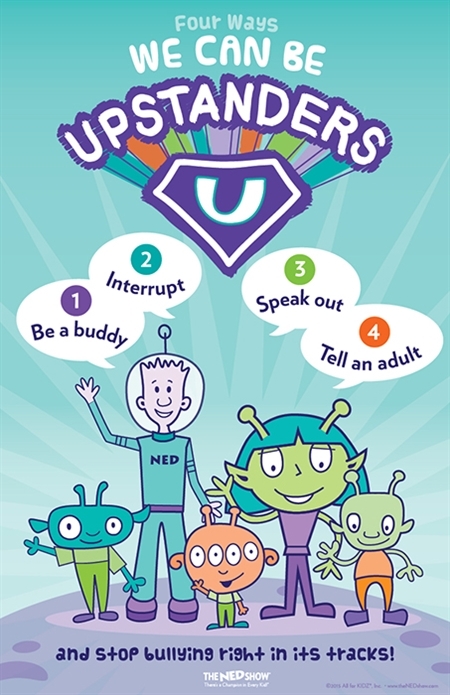 This whimsical poster features the out-of-this-world cast of NED’s “You Can Be An Upstander” video. NED’s "4 ways to stand up to bullying” will remind everyone that they can be Upstanders too! Be sure to check out this animated video where NED demonstrates what it takes to go from being a bystander to an Upstander. For shipping purposes this poster is folded to 8.5x11”. The size of the poster is 11x17”.